ROFFS™ has analyzed the ocean conditions directly before and after Florence along the east coast of the United States from northern Florida to Virginia. 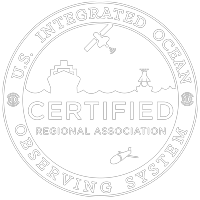 They focused mainly on the Sea Surface Temperature and Ocean Color/Chlorophyll data. Of note, they used the exact same color palettes for direct comparisons. Hurricane Florence officially made landfall on the morning of Sept. 14, 2018. Before images on the left and after images on the right. One can see in the SST images that the inshore and offshore temperatures dropped between 2.0°F to 4.5°F east of North Carolina and South Carolina after the hurricane, while the core of the Gulf Stream dropped approximately 0.5°F to 1.0°F overall. Notice in the SST post hurricane image (right), you can see the signal of the cool then warm ring of fresh water outflow from the Cape Fear River. There is also a significant difference in the ocean color/chlorophyll images. The post hurricane image shows the signal of the greener to brown-green more turbid waters near the coast and the freshwater greener water coming out of the inlets and rivers specifically east of South Carolina and North Carolina. Overall, you can see the water from near shore to the Gulf Stream to way offshore has a much greener and less blue of a signal due to both wind mixing and freshwater plumes from inland flooding coming into the ocean. There is evidence of the river and inlet outflow already getting entrained within the Gulf Stream and pushing offshore and in a general northeast direction. Please contact ROFFS™ for further information or for tracking the polluted freshwater outflow plumes. Story courtesy of ROFFS™ (see original).